Listen to the waves washing ashore! 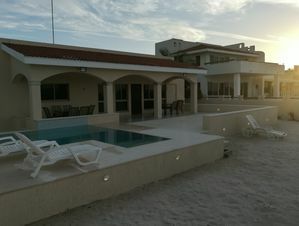 This condo is situated right on the sandy beach of Bucerías. 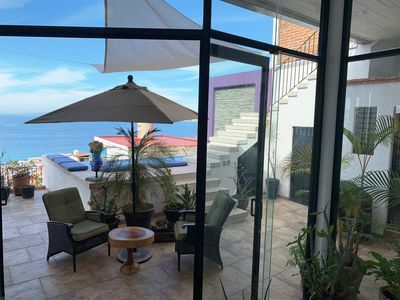 Stresses of the world fade away as you walk into my charming condo on the beach of Bucerías! 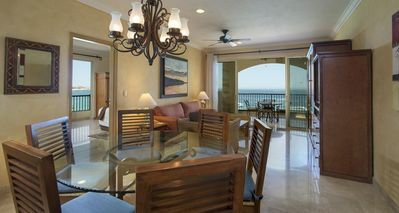 Close your eyes and imagine yourself feeling the soft and warm air around you, as you walk into a first class beach CONDO with all the amenities. 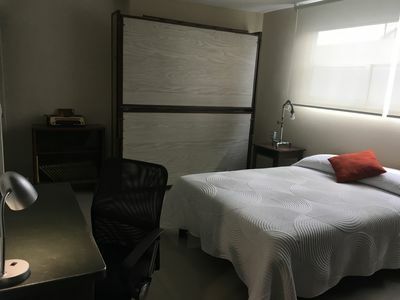 Condominio del Sol unit 2 welcome guests to Bucerías, a small fishing village 12 miles north from Puerto Vallarta's International Airport and Puerto Vallarta famous village. 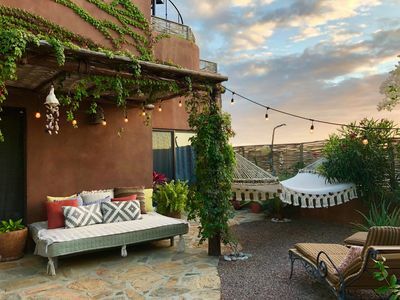 The town, -about 5,000 people-, has numerous excellent restaurants from which to choose, many stores for shopping, and has several religious and patriotic celebrations during the year, offering guests a chance to experience the charm of an authentic Mexican town. This beautiful 1754 sq. 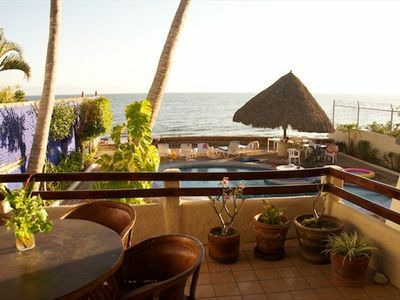 ft. beachfront condominium is located in the best beach area. 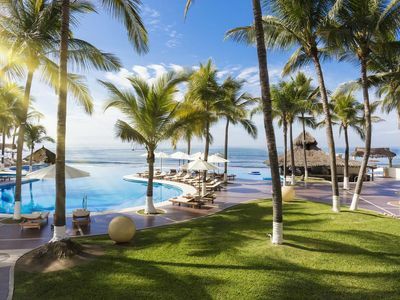 Enjoy breathtaking views over the Puerto Vallarta´s Bay (Bahía de Banderas) with miles of white sandy beach at your doorstep. 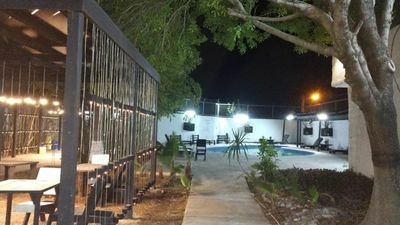 Our condo is first level in a building shared with just three other privately owned condos so it offers security, great privacy and tranquility. The huge private balcony opens from the living room area adding additional light to this spacious condo. Enjoy the oceanfront pool and deck. 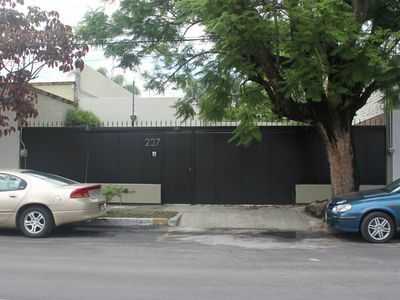 The condo is protected with a private locked gate. 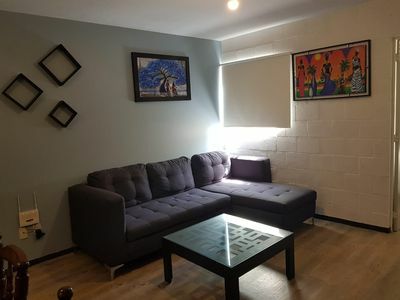 This three bedroom/2 bath condo has an additional space to relax or sleep another body or two- a 4th bedroom/tiny bathroom. 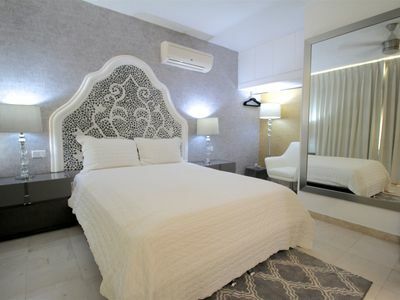 The interior is fully furnished with contemporary furniture on wall to wall tile flooring. We have satellite TV, DVD player, CD player and library, telephone and a collection of books and games to enjoy. Air conditioning in all bedrooms. 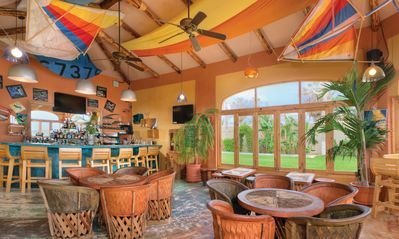 If you choose to bring your laptop we have complimentary high speed internet service and there are cyber cafés near, if you prefer. 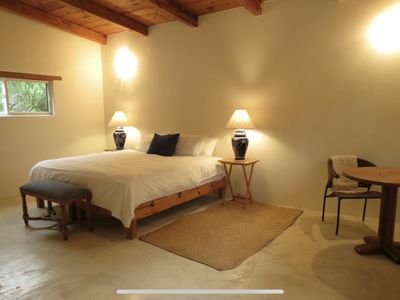 Our master bedroom has a king size bed, it's own bathroom, walking closet as well as a private balcony. 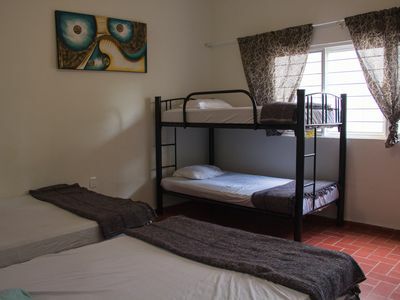 The second bedroom across the hall has a king size bed ( or twin bed ), and a futon that can sleep one more and in the adjoining small suite we have a bunk bed with 2 twin beds). A second bathroom off the main hall looks after their needs. 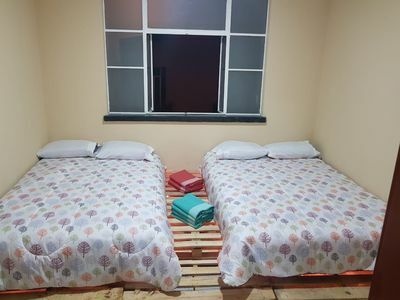 The third downstairs bedroom has two twin beds and its own private small bath. The fully equipped kitchen is complete with a full size refrigerator/freezer, gas stove with oven, microwave, coffee maker, toaster, blender. The relaxed pace of the town provides the perfect place to relax and unwind, it offers a real variety of coffee shops, art galleries, and quality restaurants including Italian, Mediterranean, French, fine dining, sports bars where to laugh surrounded by Canadian and American friends, and even an Irish pub as well as a good selection of Mexican restaurants- all within easy walking distance from the condo. Bucerías downtown plaza offers you seafood markets, fruit and vegetable shops, pharmacies, doctors, dentists. 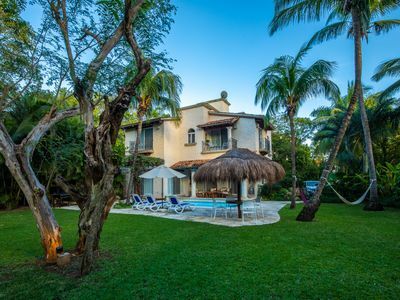 There are plenty of activities nearby like tennis, golf, jungle tours, horseback riding, ocean cruises, shopping and an abundance of water sports. Weekly full maid service is included, additional service can be arranged for a small fee. 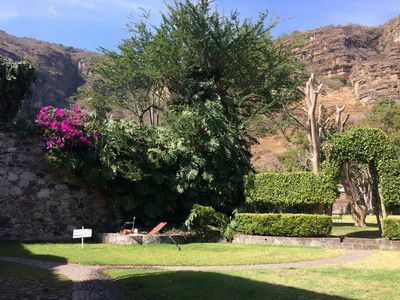 Check our availability calendar on this page –it´s always up-to-date. If you are looking for peace and tranquility in a beautiful private condo on the beach, this is it ! 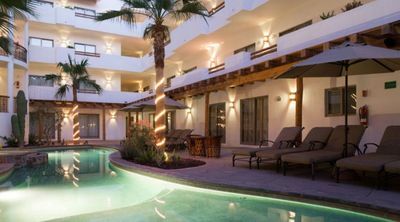 Whether you´re looking for a family vacation or a romantic getaway you will find paradise here at 'Condominio del Sol'. We are available to assist you during your stay, English or français speaking owner. Our local manager visits daily the building and she is a great help with the language and local information. 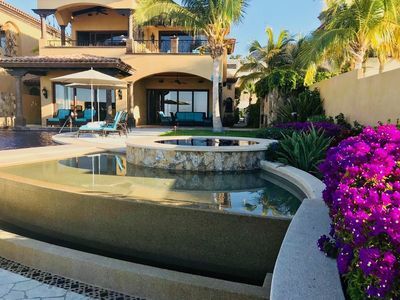 Keywords: Oceanfront stunning view 12miles from PV airport malls Riviera Nayarit, 10 min walk restaurants, boutiques, paypal/credit card payment. 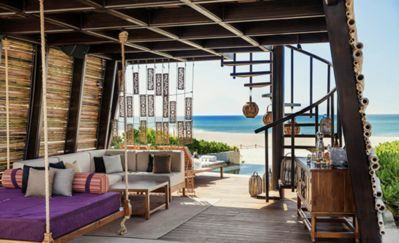 An absolute Cabo paradise ! Perfect place to enjoy the dazzle of the ocean walk the beach and enjoy life.